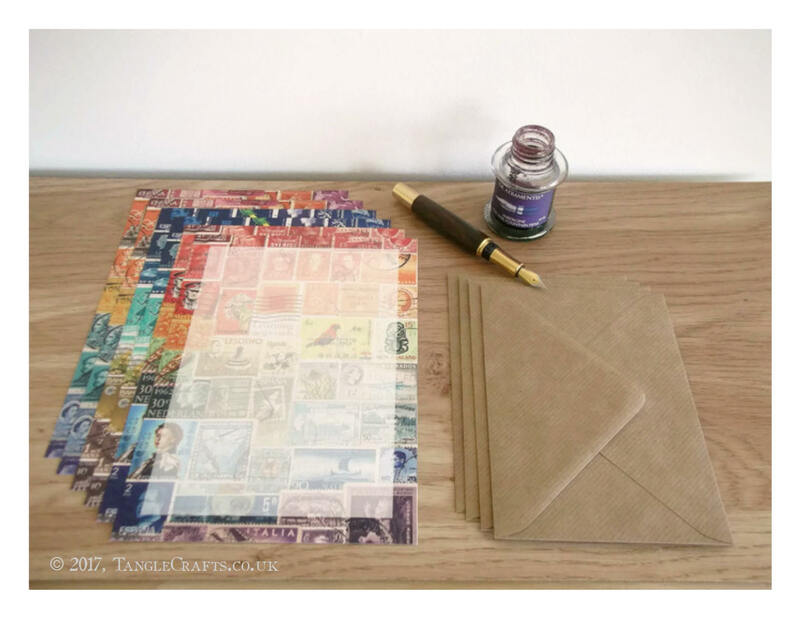 The Sun, Sea, Sand Notepaper Set includes 4 sheets each of 3 different printed designs: 'Beachy', 'Sunset Sea' and 'Rainbow' - a vibrant, colourful selection reminiscent of summer holidays & vacation times, yet nicely non-specific, & suitable for many different recipients & occasions! 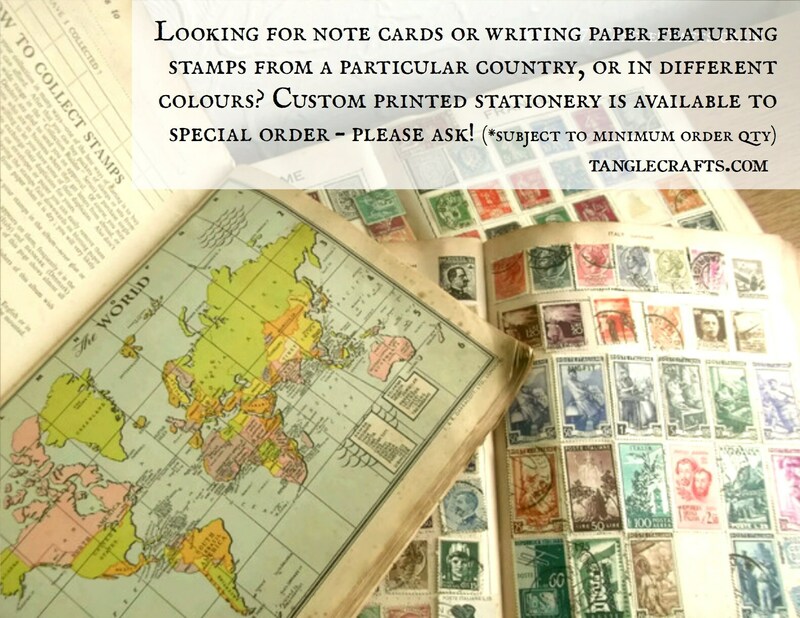 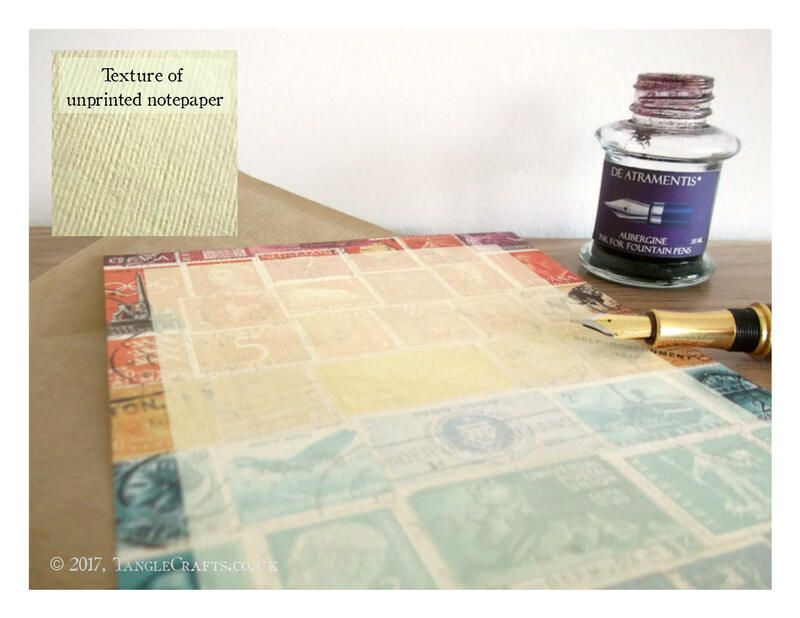 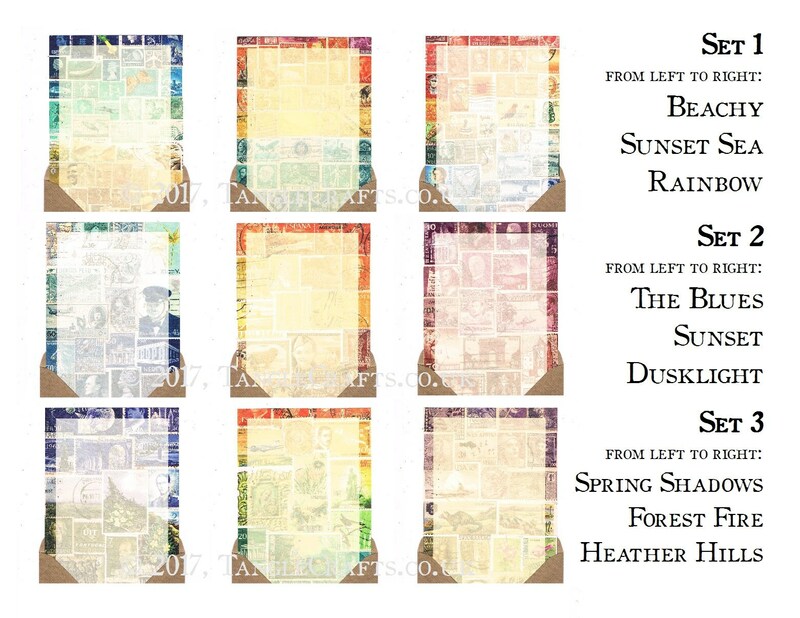 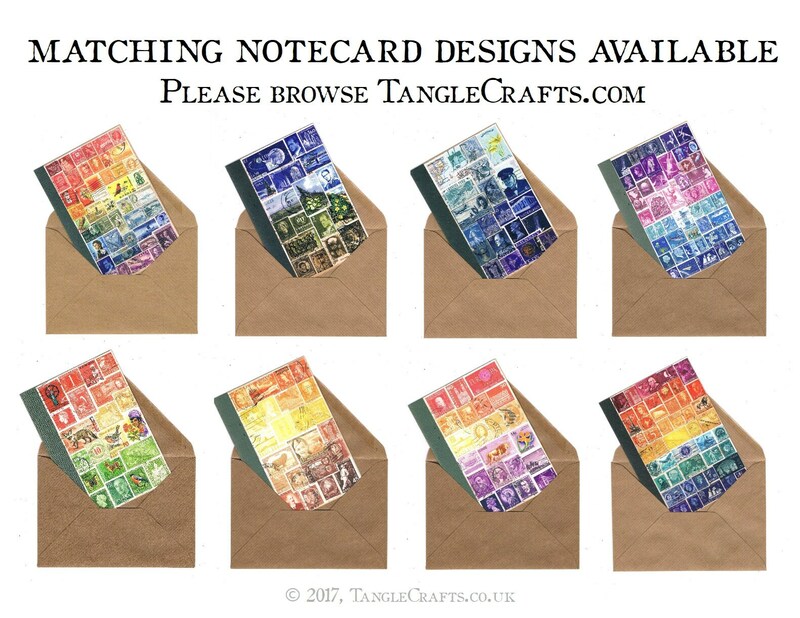 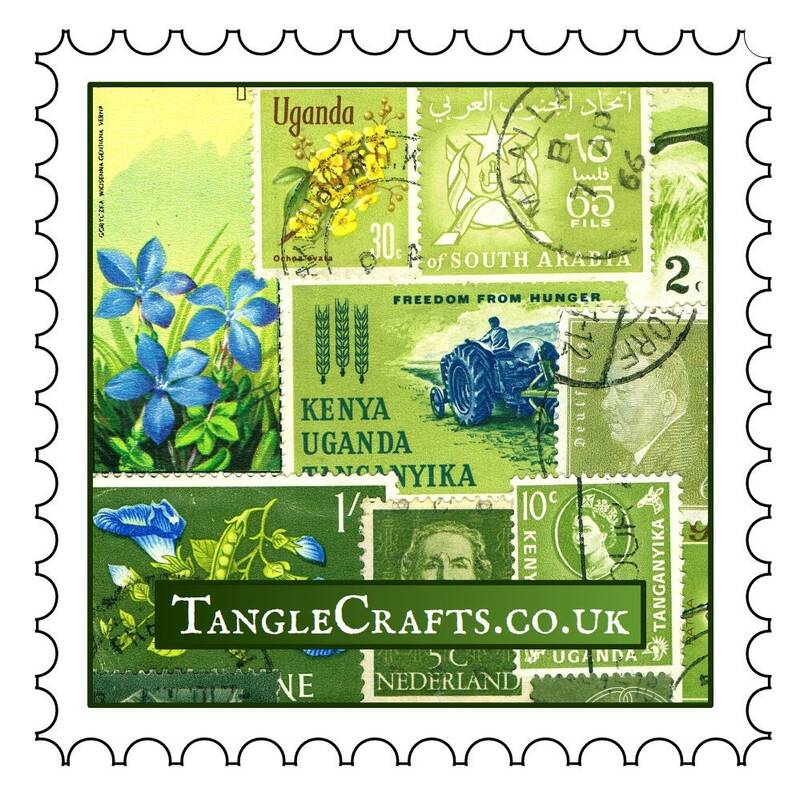 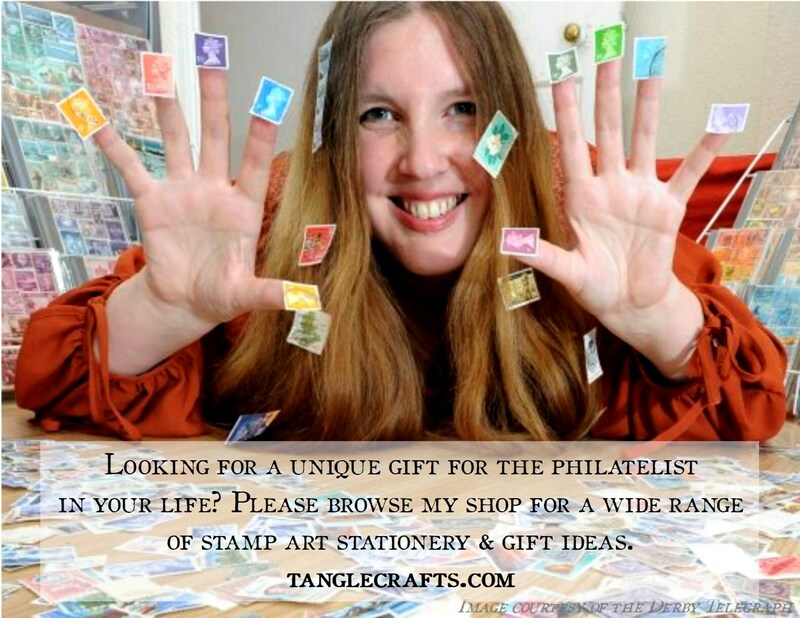 The designs are reproduced from my original collages of vintage postage stamps from around the world - an homage to handwritten communication from time past, and the perfect postal-themed background for all your snail mail correspondence, present & future! 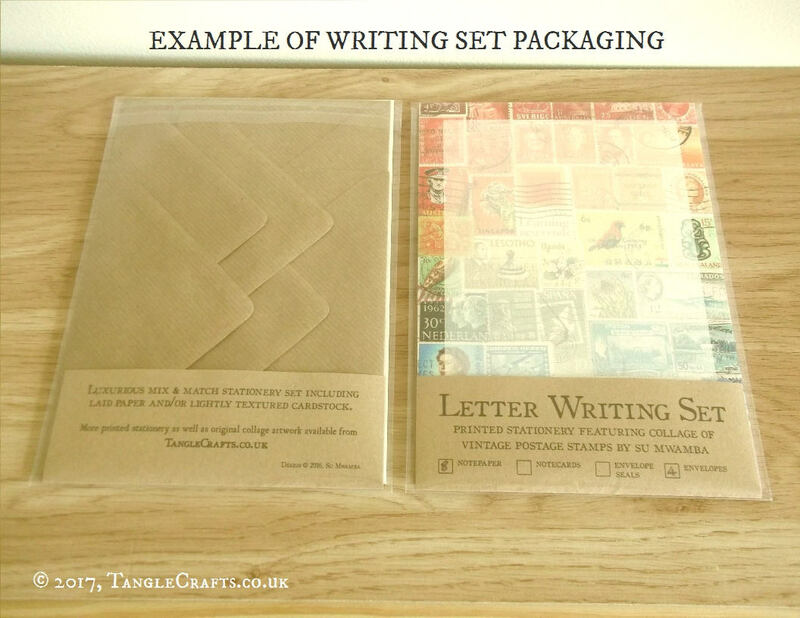 The design covers the full surface area of each A5 sheet but fades into the background of the main writing space so that your letters are easily legible. 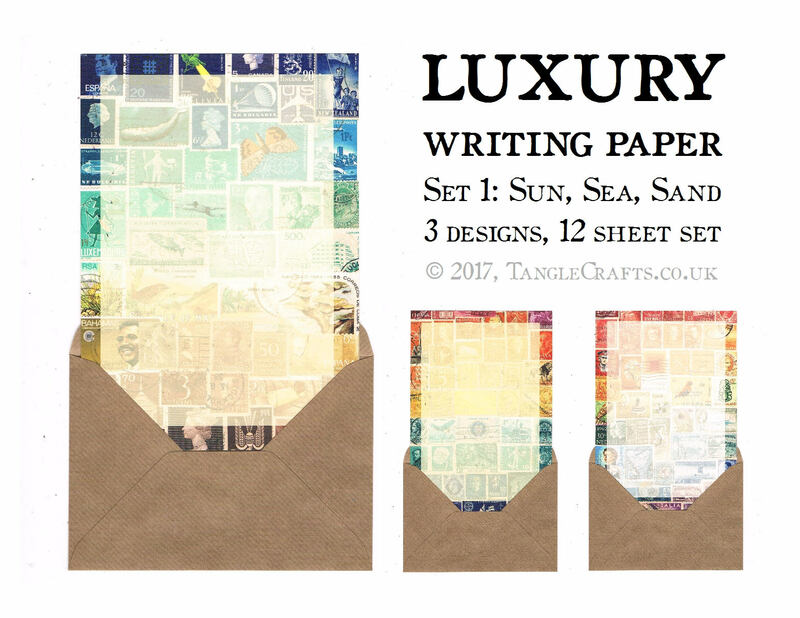 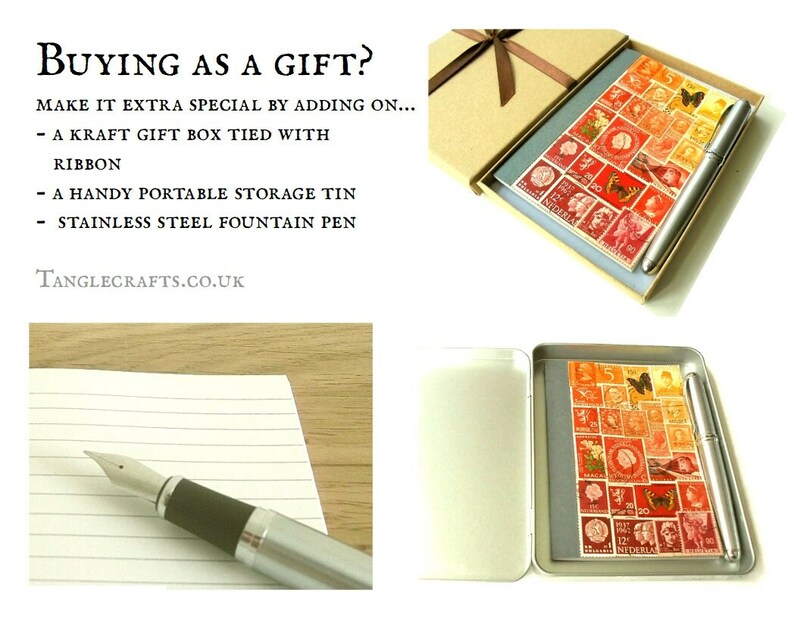 - Select Set 1 from the drop-down list, for Sun, Sea, Sand Writing Set shown in pics 1 & 2.